It is not as big as I expected it to be! 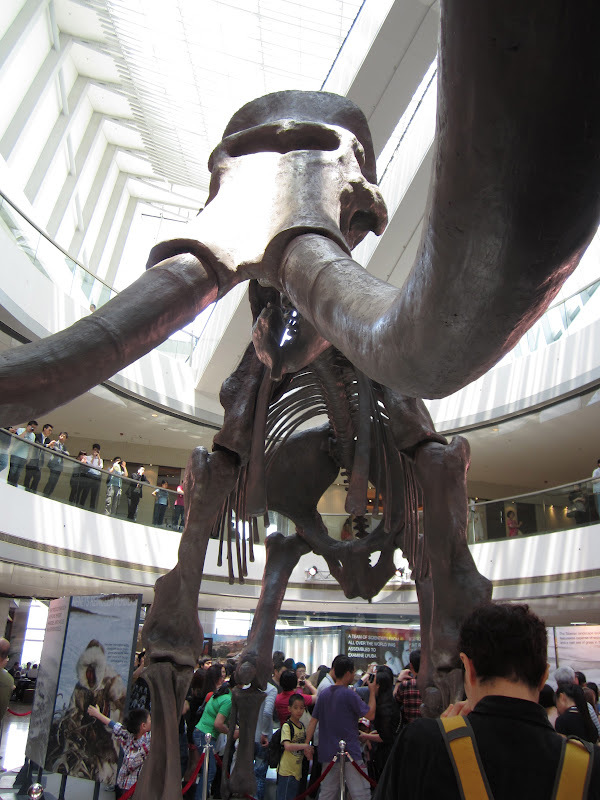 Haven't had a chance to go see the oxymoronously named "baby mammoth" yet, we've had so many visitors. I laughed when I read "Have you sen anything strange in your town" Yes, in HK, strange things are to be seen every day. Recently, I saw an old rigged sailing ship at Tsim Sha Tsui harbour. A bride and groom were having their wedding pictures taken right up in the "crows nest" on top of the highest part of the rigging. She wore a short tutu style dress whilst he had a normal tux suit, however they both wore lace up boots and a safety harness! I spotted a man reading a Tom Clancy, couldn't see the title, a woman reading Patrick Flanery's recently published Absolution, which I'd like to read as it is set in South africa where I used to live. 2 Chinese books being read on the MTR from Tung Chung and 2 kindles by our pool on Saturday. A friend recommends Red Dust; a path through China buy Ma Jiann but I haven't seen it locally, have you?